A recent study found that one in five cancers diagnosed in the U.S. is a rare cancer, which means a type of cancer diagnosed in less than 6 people per 100,000 people a year. Being diagnosed with a rare cancer may make it more difficult to get an accurate diagnosis and may increase your risk of being misdiagnosed or receiving a delayed diagnosis. It may also be difficult to find a physician with experience treating these types of cancer because they occur so infrequently. Treatment options may be more limited than those available for more common types of cancer, such as colon, breast, and prostate cancers, because fewer clinical research studies focus on rare types of cancer. 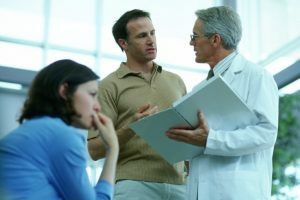 If you’ve been diagnosed with a rare type of cancer or if you’re having difficulty getting a definitive diagnosis, your next step should be to seek a second opinion from a physician who has experience treating the type of cancer you’ve been diagnosed with. In most cases, specialists with experience diagnosing and treating rare types of cancer usually practice at larger academic medical centers. You can get a list of the leading cancer treatment programs on the National Comprehensive Cancer Network’s site, as well as from the National Cancer Institute. These specialists stay up-to-date on the latest diagnostic tools and treatment options for rare cancers, including clinical trials. A health advisor can help you connect with these specialists, provide you with detailed information about the physician’s training, experience, research, and access to clinical trials, and gather all your medical records and provide them to the specialist providing the second opinion. What are the possible diagnoses? If you haven’t received a definitive diagnosis, ask your physician what the potential diagnoses are and what types of tests are available to help you get an accurate diagnosis. What are my treatment options? Ask what types of evidence-based treatments are available for the cancer you’ve been diagnosed with, including clinical trials and orphan drugs, which are treatments approved for rare diseases. You should also ask about the risks, benefits, and potential side effects of any treatment you’re considering. You may also want to talk with your physician about which treatment he or she would recommend and why. What is the goal of treatment? Depending on the type of cancer you’ve been diagnosed with and the stage of the disease, the goal of treatment may vary. Ask your physician if the goal is to cure the disease, achieve remission, or relieve symptoms caused by the cancer, such as pain. What is my prognosis? Prognosis is a projection of the likely course and outcome of your disease. The factors that are considered include the type and stage of cancer, your age, and your overall health. Prognosis can help give you an understanding of how likely your cancer is to respond to certain treatment options and what the likelihood of the recurrence of your cancer is. Doctors determine prognosis by looking at studies of groups of people with the same or a similar diagnosis to yours. While any cancer diagnosis can be overwhelming, being diagnosed with a rare cancer can be even more stressful since there’s less information available and often few or no support resources that focus on this specific cancer. Ask your physician to connect you with any available support services, including mental health providers, spiritual support staff, and people or organizations that can help you learn more about your disease and connect with others living with the same diagnosis. It can also be helpful to ask a family member, friend, or advisor to come with you to appointments. They can take notes and ask questions so that you can review the information whenever you need to.